Africa faces so many problems that are chronic, complex, and deep-rooted that require uniquely qualified leaders, NEW BREED Leaders. Leaders who could bring the diverse people of Africa together to tackle its chronic and acute problems, provide new vision based on equality, diversity, tolerance, and inclusiveness. 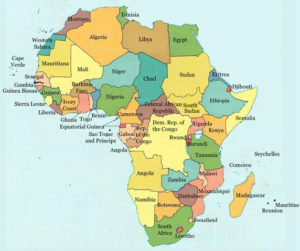 Leaders who could take Africa into a new era of stability, prosperity, peace, democracy, justice, and freedom. We have already seen the rise of New Breed leaders in some African countries who are promoting democracy, good governance, the rule of law, and inspiring their people to tackle the major ills inflicting their countries. We would like to play our share to duplicate these successes into other parts of Africa. We would like to give leadership frameworks, insights, tools, and approaches to raise New Breed leaders of Africa not just in politics but in the various sectors so that the continent may experience a sustainable economic development within a short period of time. Toward raising new breed leaders of Africa, we created a dedicated Facebook page and began posting articles. Please like the page to read articles, and share your thoughts. We encourage you to share your thoughts on the contents of the articles and blogs we post on the page. We have a plan to start a TV show very soon here in the US that ultimately (1 – 2 years) broadcasts its programs to Africa through Satelite. We have also other projects in this regard, which need your support. Going forward, we’ll also have more initiatives such as leadership development programs that will be implemented in Africa to raise the new breed leaders of Africa.